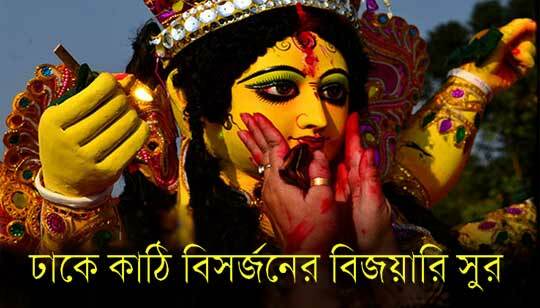 Dhake Kathi Bisorjoner Song Lyrics: This is a Durga Puja Bijoya Dashami And Sindur Khela Special Bengali Song from Stree Zee Bangla Serial Song. Stree drama television show premiered on December 26, 2016 and airs on Zee Bangla. Starring: Neel Bhattacharya, Neha Amandeep and Moumita Gupta, Goutam De, Rita Koiral and Dolon Roy. বোলো দূর্গা মাইকী, জয় ! Aayre ayere shobai mete uthi sindur khelay..